It’s Wednesday night and the plans of heading down to the world famous Happy Valley Racecourse to make new friends and put money on the horse with the most creative and relatable name are being finalised. With a crisp beer on the menu for later in the evening, the first order of business is to get that stomach lined. Fill up on a hearty dinner close by, keeping you and your friends’ bellies satisfied enough to make sure you are fully distracted in the case that your top bet crosses the finish line last. Even if the ponies aren’t for you, this panda has taken a trip down to Causeway Bay to try out the Mother of Pizzas, which says it all in the name. Slightly out of the way of the hectic Causeway Bay streets, Mother of Pizzas lures in a crowd by placing their signature slices in a glass display out front, meaning even those with a stuffy nose can’t miss it. The glistening black tiles will help draw those curious eyes even closer and before you know it, you will be through to the back seating area enjoying a feast for all. Between happy chatters to customers and tossing homemade dough into the air, the staff are very helpful in getting your hungry mind focused and making a choice from their hefty selection. For once, I have decided to be strategic in my decision making and go for a starter, main and dessert combination. As a starter, I opted for a personal favourite, the staple to my summer diet, the classic Caesar Salad ($68) with homemade croutons. With the weather sort of beginning to heat up, the cold leaves were ideal for cooling off any midweek stresses and easing your body into the banquet coming your way. The croutons floated delicately on top amid their dressing pool party with the salty bacon bits. 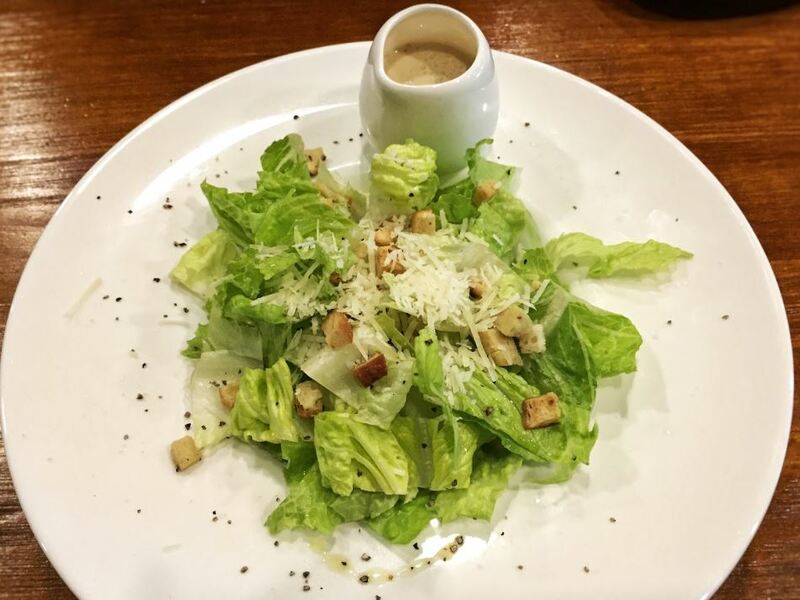 While a Caesar salad may be considered a rather straightforward dish to present, the chefs certainly got the whole balance of the zesty sauce right and left me wishing I had ordered my meal backwards so I could save the salad for last! Next up, the reason for coming. The smell I had latched on to three roads back. 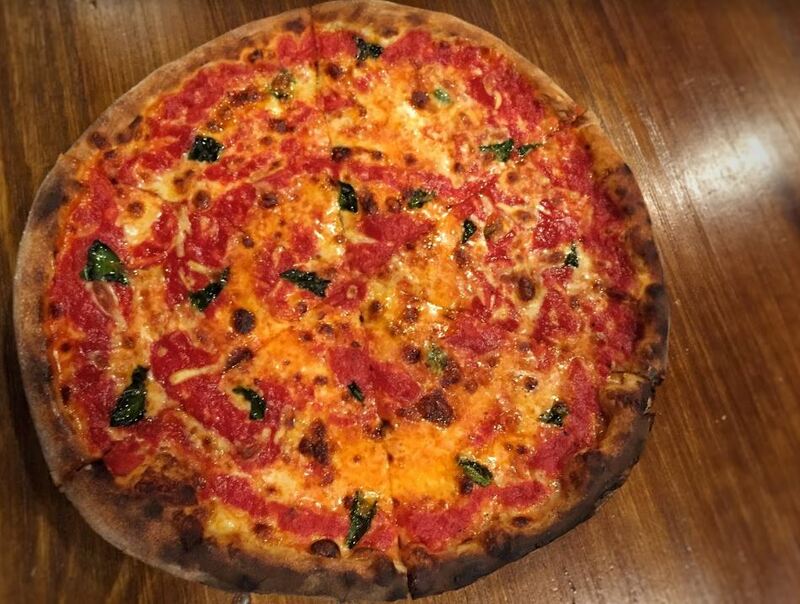 The grand Queen Margherita ($148) topped with grana Padano, fresh basil, tomato, aged mozzarella, Fior di latte and extra virgin olive oil. Forget everything you know about the standard Margherita pizza, as Mother Of Pizzas have turned up the dial a notch or nine to display a pizza absolutely bursting with colour from a delicious marriage of cheese and tomatoes, brightened with fresh herbs and cracked pepper over the top. To most, it might seem a shame to take a slice, but luckily my stomach is bigger than my heart so I am happy to dive straight in the mouth first. Speaking of luck, I was fortunate enough to be born with a very special digestive mutation, in which I have a spare system dedicated especially to dessert, so having inhaled my first two courses, I was ready for round three. Ding ding ding! 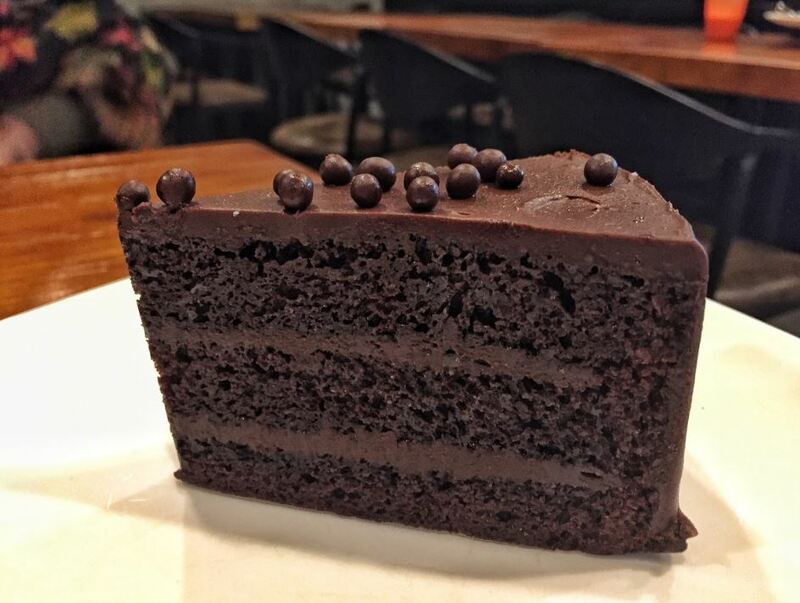 The Choco-fudge Cake ($48) – Talk about a chocolate lovers dream – Three layers of choc sponge, separated by perfectly symmetrical coatings of frosting and a thick load of icing glazed around the sides and on top without a single smudge, with some tiny choco balls plonked on the top to finish. I may take back what I said earlier about wanting to change the order of my lunch because this is the way dining deserves to be resolved – a mouthful of chocolate, an unbuttoning of the trousers and a smile that could only be knocked off if someone tried to nick a serving for themselves. If you’re heading out to Happy Valley anytime soon, take our advice and take a swing down Leighton Road to get first dibs on your epic meal time at Mother of Pizzas. Oh, and don’t forget to send us some pictures while your down there!